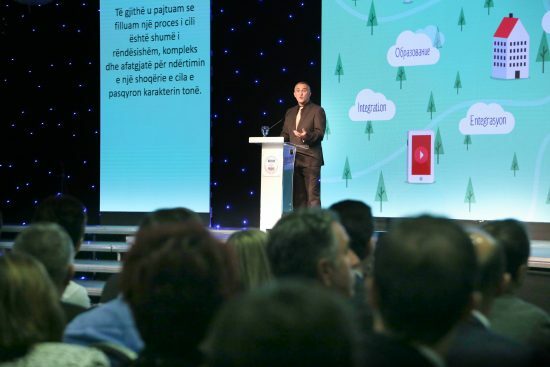 “The young people of today are the leaders of tomorrow!” is the message sent to more than 1000 guests attending the ceremony on the occasion of the official launch of the USAID Youth Ethnic Integration Project. The event held at the end of November at the Alexander Palace Hotel in Skopje was attended by representatives of the state educational institutions, the municipalities and the schools from around Macedonia, as well as a large number of international and civic organizations. The event started with a performance by a choir comprised of 100 students from various ethnicities from several secondary schools. 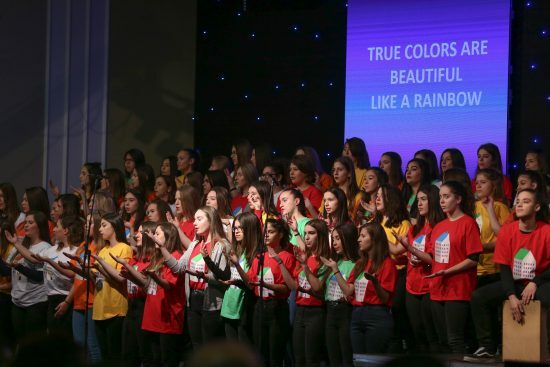 The students together performed the song True Colours and, thus, they unanimously sent a powerful message – beauty comes in different colours and shapes! Inspired by the big applause and the ovations that filled the hall, the Executive Director of MCEC, Loreta Georgieva, dedicated her opening remarks to the various meanings of colours and emphasized the beauty of the colourfulness of our society. She pointed out for the attendants: “We wanted you to see the colours around us in this manner because, in addition to the fact that together we can choose the colour of our school, classroom or home, we can also jointly choose the messages for the future that young people will build as the leaders of tomorrow”. 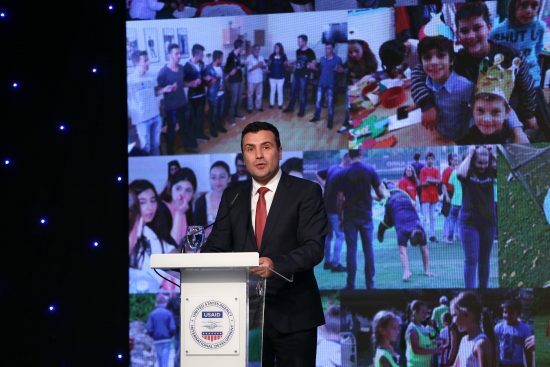 Further on during the event, the audience was addressed by the President of the Government of the Republic of Macedonia, Zoran Zaev, who spoke about the importance of upbringing young people in the spirit of democratic values and interethnic cohesion. He pointed out “Coexistence is encouraged and taught from a young age. Thus we create generations without prejudice, young people who are aware of their rights and responsibilities, who think critically, have a positive attitude and take action in order to change things for the better”. The United States Ambassador to Macedonia, Jess Baily, spoke about the importance of interethnic integration and civic values. 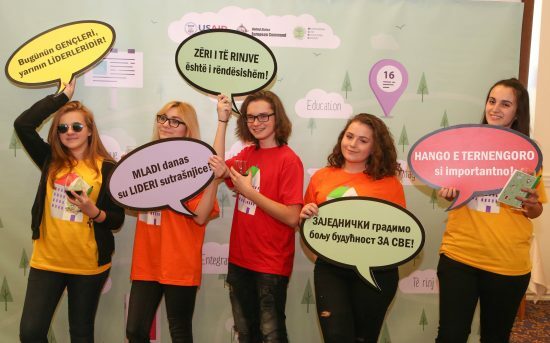 “We hope to empower the youth of Macedonia to become responsible and active citizens who work together to create a prosperous, vibrant, inclusive future for all” , he stated. The Chief of Party of the Youth Ethnic Integration Project, Nebojsa Mojsoski, with his address, informed the attendants about the purpose of the Project. 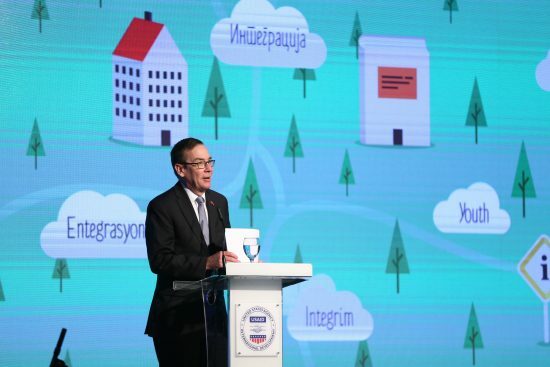 He emphasized that the Project is a five-year initiative implemented in partnership with the Ministry of Education and Science, the key educational institutions, as well as all municipalities and schools in Macedonia. 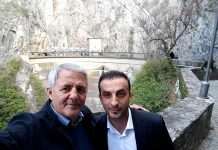 Furthermore, he added that the main objective of the Project is to enhance the interethnic cohesion of young people and develop democratic and civic values, while also ensuring awards for the schools that will demonstrate dedication and active participation in the Project by providing them support for renovations through the United States European Command. Further on during the event, the Minister of Education and Science, Renata Deskoska, spoke about the importance of cooperation among young people. “If we are teaching our children about the importance of cooperation, then we should be a role model for such cooperation”, she added. Towards the end of the event, the educational mobile application developed by the Project – EduMobMK was promoted. The application will enable the schools and the communities to keep up with the latest news in the sphere of education. 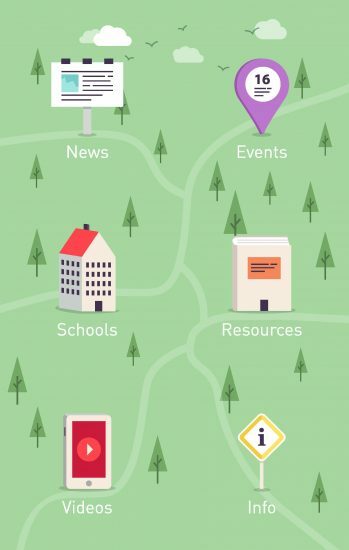 In addition, in cooperation with the Ministry of Education and Science and the key educational institutions, the municipalities and the schools, the application will also feature notifications on calls for the submission of applications for various types of support for the schools and the communities. 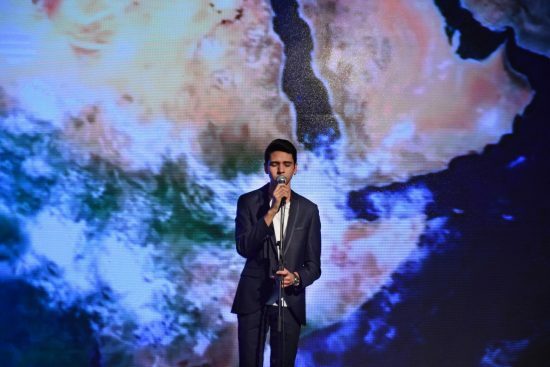 At the end of the event, the young talent, Trajce Georgiev, performed the song We are the World, encouraging young people who are dreaming the same dream to strive and make it come true by means of joint cooperation. You may see more pictures from the event here. 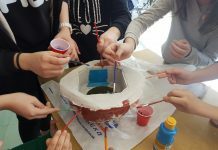 This activity is part of the Youth Ethnic Integration Project, funded by the American people through the United States Agency for International Development (USAID).